Iuliano Will Replace Riggs as College President | The Gettysburgian. 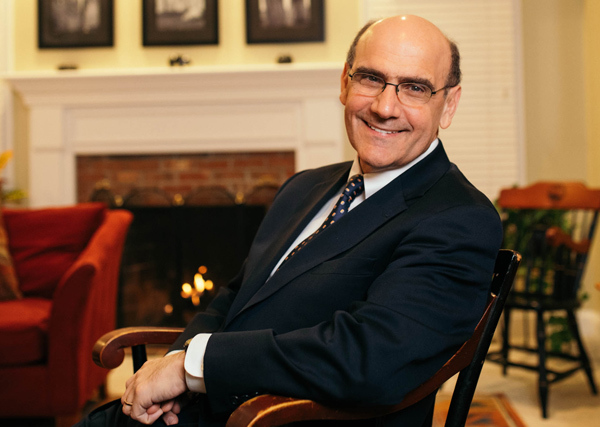 On Wednesday afternoon, the Presidential Search Committee announced that the fifteenth president of Gettysburg College will be Robert W. Iuliano. He is expected to begin on July 1, 2019. Charlie Scott, Chair of the Presidential Search Committee (PSC) and Executive Vice Chair of the Board of Trustees, said that Iuliano was a unanimous choice who rose to the top of a deep pool of candidates. Iuliano currently serves as Harvard University’s deputy to the president, senior vice president, and general counsel. He also taught at Harvard’s Graduate School of Education. Iuliano worked under five of Harvard’s presidents, scaling a wide range of improvements to campus life including diversity in admissions, inclusion, and re-introducing the ROTC program to campus. A lawyer, he has been heavily involved in a lawsuit at Harvard regarding race in college admissions and a $102 million lawsuit involving the government. Iuliano has no prior connection to Gettysburg College, a factor that appears to have weighed positively in considering the successor of the current president, Janet Morgan Riggs, who is an alumna and was on the faculty for decades prior to her selection as the college’s 14th president. The PSC also noted Iuliano’s fundraising acumen. Gettysburg’s endowment lags behind peer institutions such that capital infusion is a key agenda item for the incoming president. Scott said that the PSC is convinced Iuliano will “excel” in that area. Nick Arbaugh ‘20, President of the Gettysburg College Student Senate, was more measured in his commentary, but commended the search committee’s work. At Harvard, IRS filings show that Iuliano earned approximately $600,000 annually, higher than Riggs’ compensation of $434,460 as reported on the college’s 2017 IRS form 990. Scott declined to give a specific figure on Iuliano’s salary, but said it would be commensurate to the market wage.